Steve Rum is known for his leadership of, and success in securing, healthcare philanthropy. Since Mr. Rum’s arrival at the Fund for Johns Hopkins Medicine in 2005, the philanthropic dollars raised each year by his development team have increased steadily. In fiscal year 2016, they raised $391 million, exceeding their ambitious goal of $375 million. Central to this success is “grateful patient fundraising,” though the Fund encompasses a full range of development services including identification, cultivation, solicitation, and stewardship of various philanthropic sources; annual giving; alumni relations; and events. Steve brings a keen interest in applying research methodology to understanding and improving upon development practices in medicine. Serving an academic institution with prodigious strength in research, he is optimally situated to introduce an evidence-based approach into fundraising – in order to increase the quality of the development profession and its credibility among medical scientists and other stakeholders. The paucity of both advanced training opportunities and research specific to medical development prompted Steve to found, in 2014, the Johns Hopkins Medicine Philanthropy Institute (JHMPI). Through conceptual model building, collaborative research, and training of senior professionals, the JHMPI works to improve the effectiveness and professionalism of medical development, and therefore to enhance its contribution to medical science, health care providers and institutions, and the people they serve. 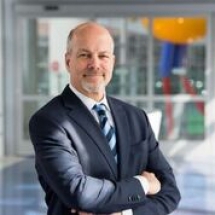 Mr. Rum and his colleagues at Johns Hopkins Medicine have published research and perspective articles on the challenges and opportunities entailed when physicians engage in development activities, particularly grateful patient fundraising. Join us to hear about the JHMPI plan for developing ethical standards that can guide physicians and development professionals alike, to support the conduct of grateful patient fundraising with sensitivity and integrity.